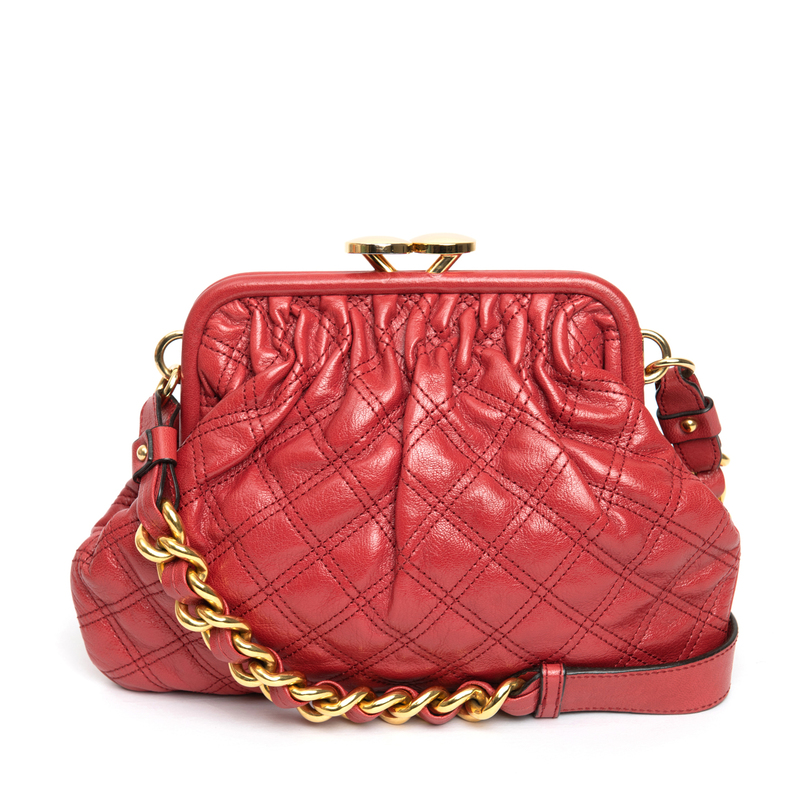 This Marc Jacobs Red Quilted Leather Little Stam Bag is chic and adorable. 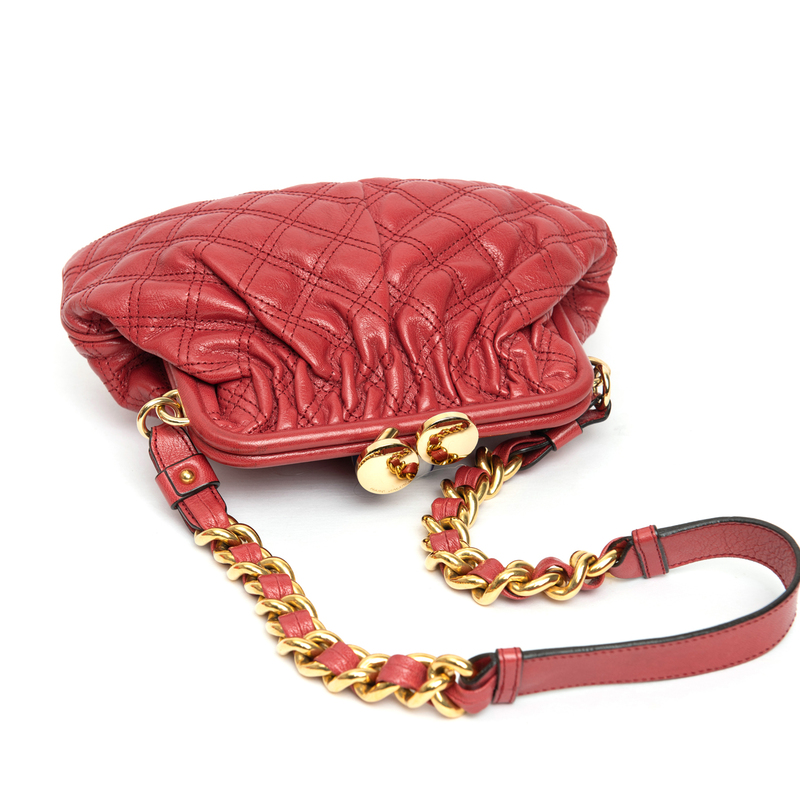 It features gorgeous quilted leather, an oversized gold kiss-lock clasp and a frontal zipper pocket. 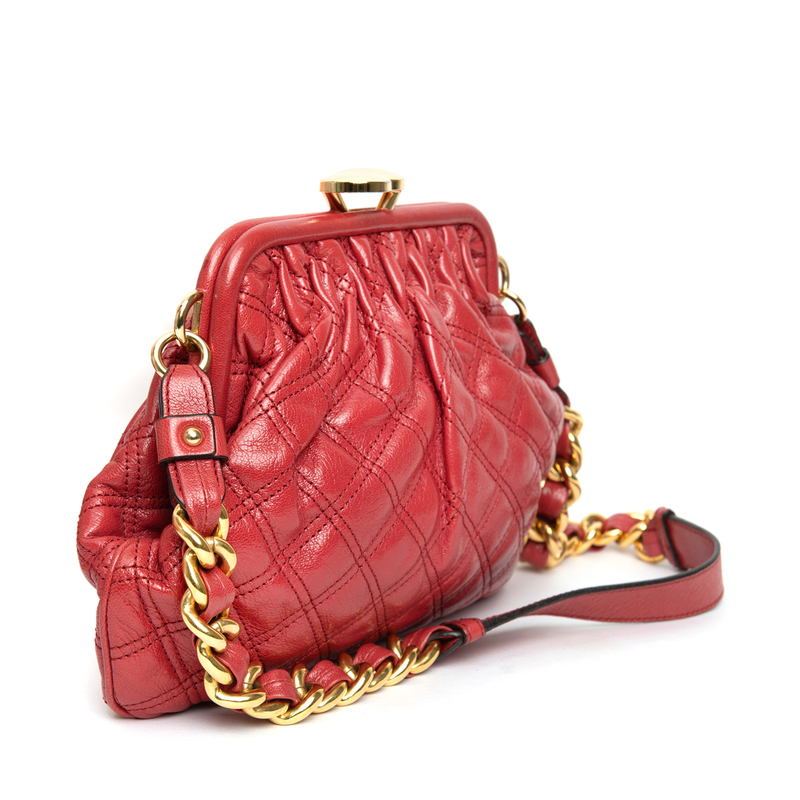 The Little Stam is a smaller shoulder version of the iconic Stam bag. Perfectly sized for an evening out or a quick bite to eat. 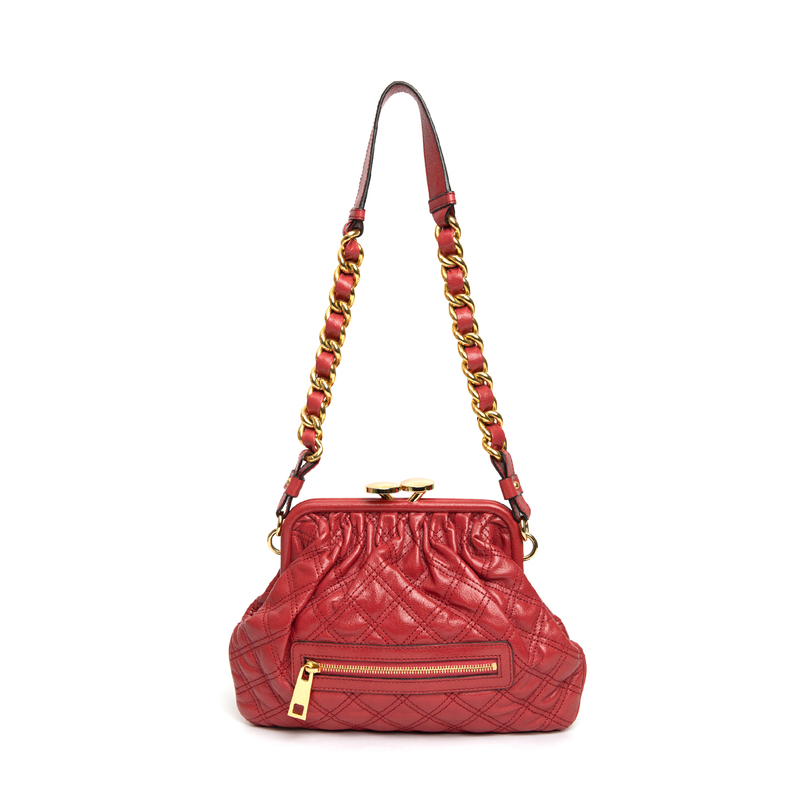 The chain-link strap adds a bit of an edge to this classically feminine pint-sized bag! Exterior: There are black marks on the leather at the frame top. There is wear and rubbing on the corners of the bag. 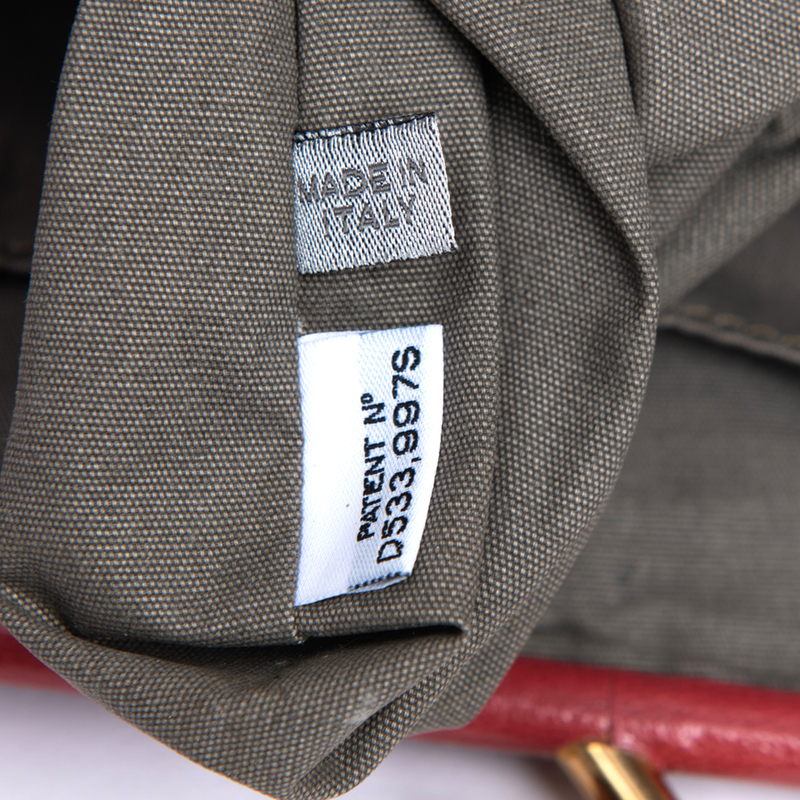 Interior: The interior fabric lining has small white stains at the bottom of the bag. Hardware: The hardware has surface scratches. The kiss-lock has scratches and some fading around the edges. LabelCentric is not affiliated with Marc Jacobs. 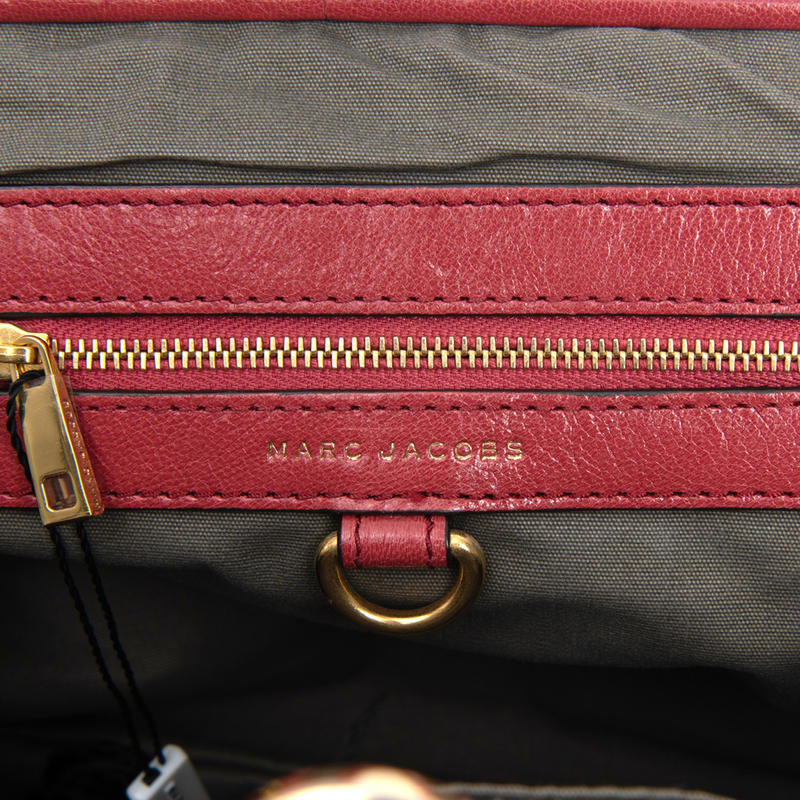 We guarantee this Marc Jacobs item to be authentic ( find out how ). 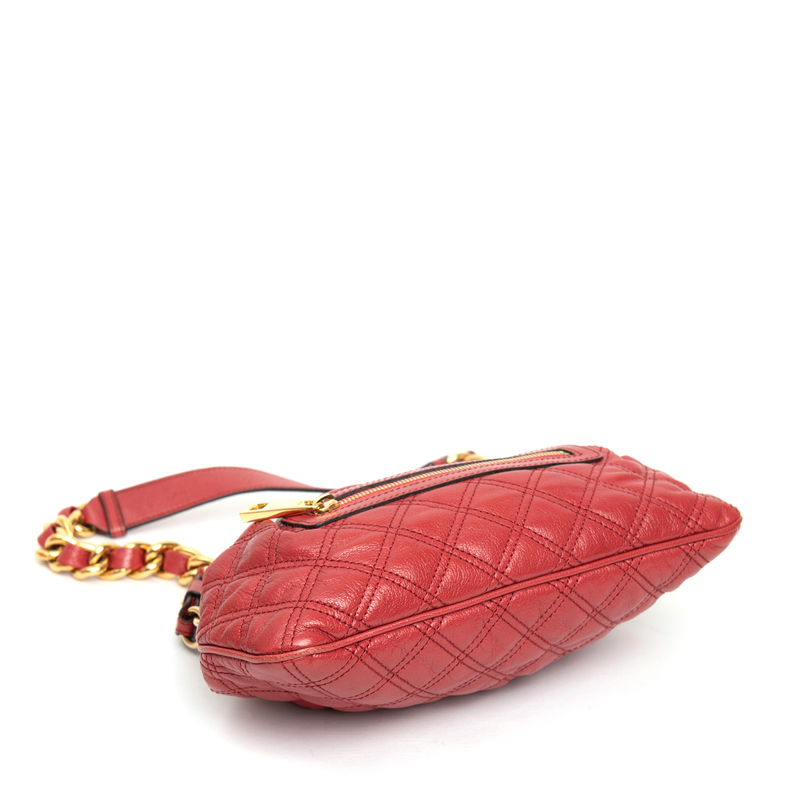 Marc Jacobs® is a registered trademark of Marc Jacobs.